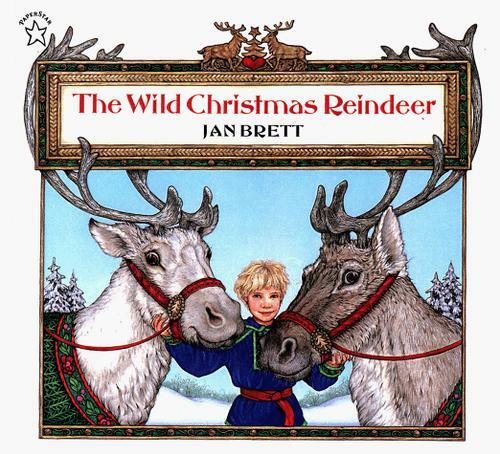 Today we read Jan Brett‘s The Wild Christmas Reindeer in our reading group. Jan Brett is a favourite author for beautiful winter books. My home collection has many of her books and it was lovely to share this book with a small group today. In this story, Teeka is given the big responsibility of preparing the wild reindeer to pull Santa’s sleigh Christmas Eve. She approaches this task seriously and sternly and quickly learns that she needs to change her style to be able to work with the reindeer. A gentler, kinder approach is what makes a difference! We are working on making observations about the story and asking questions about what we are still wondering. Will Teeka do this job again next year? Does a different elf take on this job every year? Will Teeka train another elf to do it? Were her jobs difficult? Carrying water? Brushing the reindeer? This entry was posted in Classroom Views and tagged asking questions, favourite illustrators, fiction, Jan Brett, picture books, reading group by carriegelson. Bookmark the permalink.